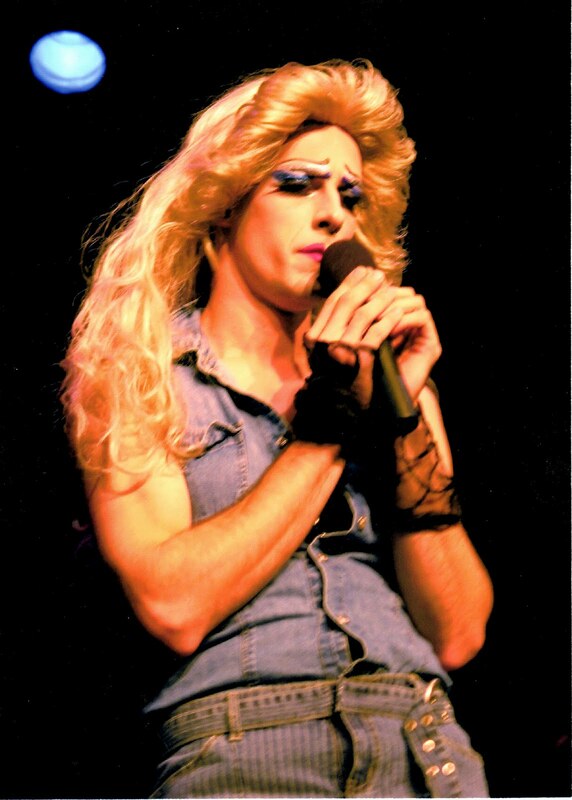 While it’s true that the central character of Hedwig and the Angry Inch is an East German, transgendered, “internationally ignored song stylist,” stuck in the early 70s world of glam and punk, still her story is one of the sweetest, most emotional, most deeply moving of just about any musical you can think of. This is a love story, but not an immature, fantasy love story that has nothing to do with real life, like those in Brigadoon, Hello Dolly!, Li’l Abner, or No, No, Nanette. No, this is a love story that everyone can relate to, about the search for The One, the person that completes you, and the realization that our romantic views of love may be less based in reality than we’d like to believe. Real love is difficult, messy, complicated. Not everyone ends up with The One. The real search, the real journey, is an interior one, a search for wholeness and completeness inside. For anyone who’s ever thought they’d found The One, only to find out later how wrong they were, this is a story for you. And it’s also a story for those of us who sometimes feel like the world is just batting us around like a piece of paper caught in the wind, without purpose, without sympathy, without respite. Tonight, Hedwig stands before you, emotionally naked, exposed more than any physical nakedness could expose her. She tells us her crazy, outrageous, tragic, hopeful story, partly to exorcise her own demons and find her own way, but also partly to tell us all that we are not alone. We all go through the same battles in life. Some do it in comfortable homes, some in one-room apartments, some in a Kansas trailer park. But the battles are the same. Like a musical New Line did a few years ago, Songs for a New World, this is a show about surviving, about finding yourself with your back to the wall, all options seemingly exhausted, and then you rise up anyway, find your way back, and come out alright in the end. Though the show’s influences vary from Plato’s Symposium to Marlene Dietrich to David Bowie’s Ziggy Stardust, its story is really a simple one. It’s a story that belongs to all of us at one point or another in our lives. So tonight, we do what theatre does best: we come together in a darkened room and share our lives in hopes that it will make our journeys a little easier.